Hearses aren’t the only vehicles used to shuttle the dearly departed back and forth to the funeral home. Other cars with large rear cargo space, including SUVs and minivans, can also be used for that purpose, including one tan SUV stolen from Bryan, Texas, reports KBTX. Sadly, that didn’t deter the thieves, who tried to keep the truck and dump the body. A beige Suburban being used by a contractor for the Daniel & Sons Funeral Home was transporting a body when witnesses say 28-year-old Tanya Albrecht stole it from a convenience store parking lot, KBTX explains. The driver had left the keys in the truck as he went in to the store, which is probably a bad idea when you’re transporting such valuable cargo. The body was found on a stretcher dumped alongside a rural road in Brazos County. Sadly, the surprise Albrecht found in a pretty normal-looking Suburban hadn’t deterred them much at all from taking the truck anyway. Albrecht was later found with 27-year-old Adam Crow in the Suburban. Somehow Crow’s enormous neck tattoo looks like the least of his bad decisions. Both were charged with unauthorized use of a motor vehicle, and Albrecht was additionally charged with abuse of a corpse. 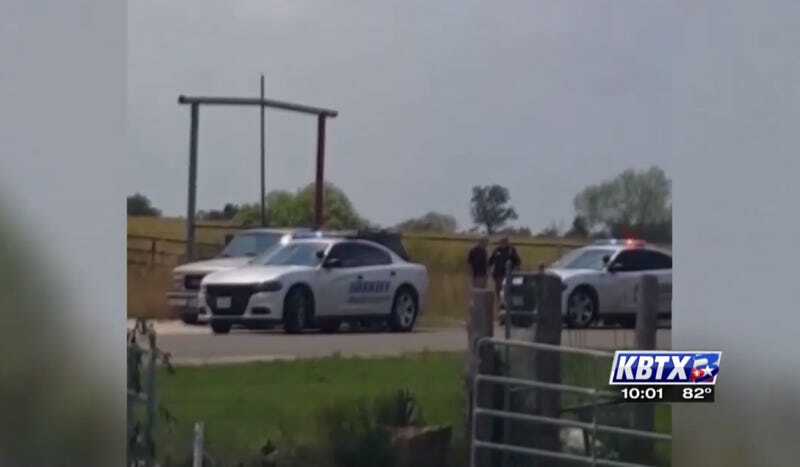 KBTX lists the body as unidentified, however, it had been picked up from the medical examiner’s office where it was being held. Man regrets selling hearse that carried Dale Earnhardt Sr.